Imagine a distant future in a far away galaxy where human colonists have built an empire called the Imperium. The Imperium Chronicles is a science fantasy universe where alien races based on fantasy tropes rub shoulders with humans in adventures spanning hundreds of light years. The Imperium is a tapestry of conflicting groups, each with their own agenda. From the richest aristocrat to the poorest thug, every citizen dreams of power, prestige, and a piece of the action. Set in the Imperium universe, Fleets at War! 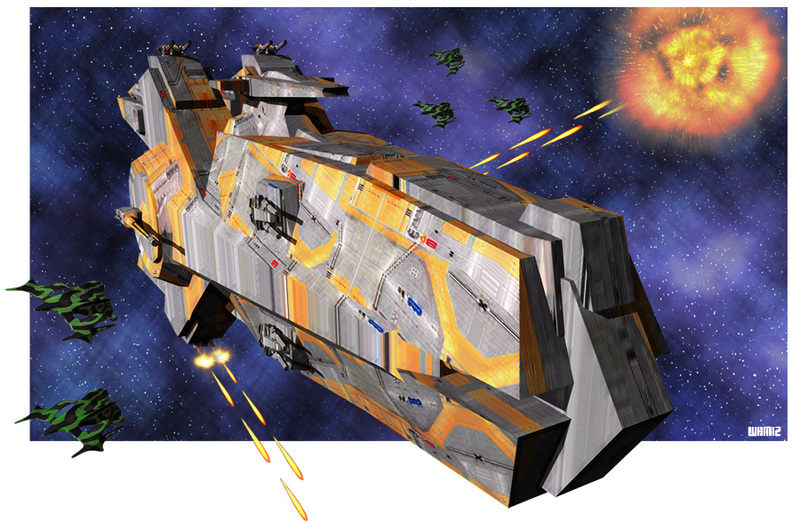 is a tactical starship combat game where you command dozens of ships against the enemies of the Imperium. I got my original idea for the Imperium Chronicles from an online comic I did back in 2005. Since then I’ve created two more comics, including the most recent one called The Crimson Kiss. When the sleeper ships arrived in the Andromeda galaxy, the star systems they encountered were not uninhabited. In fact, civilizations had existed there for thousands of year. In my comics, I try to focus on how humans and these “alien” races interact in a society that is dominated by humanity.